I must admit I get nervous these days when a movie packs in a lot of top stars. 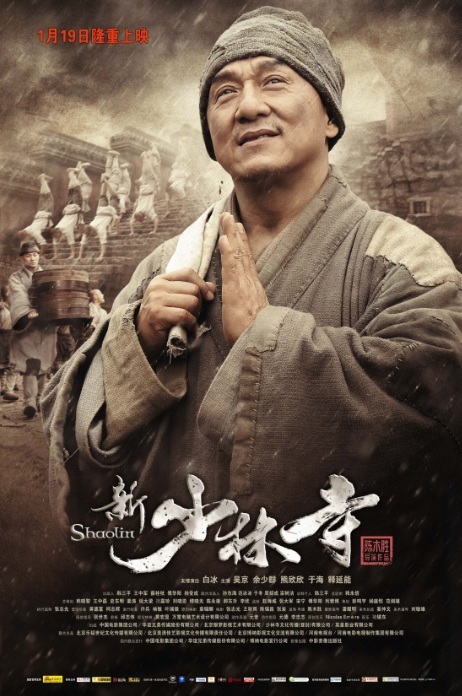 Good thing my fears were not met as Shaolin (also known as The New Shaolin Temple) was very enjoyable to watch. 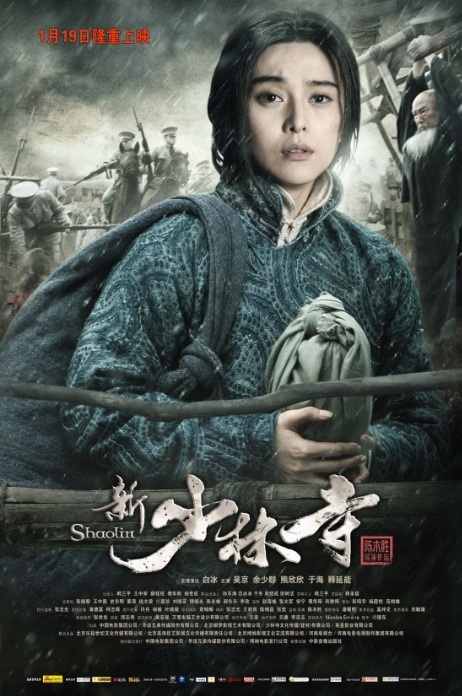 Set during the early Republican China (around 1912-1920) Hou Jie is a ruthless warlord who has the treasure map to ‘Hou’s Horde’ fighting with his rival Huo Long. 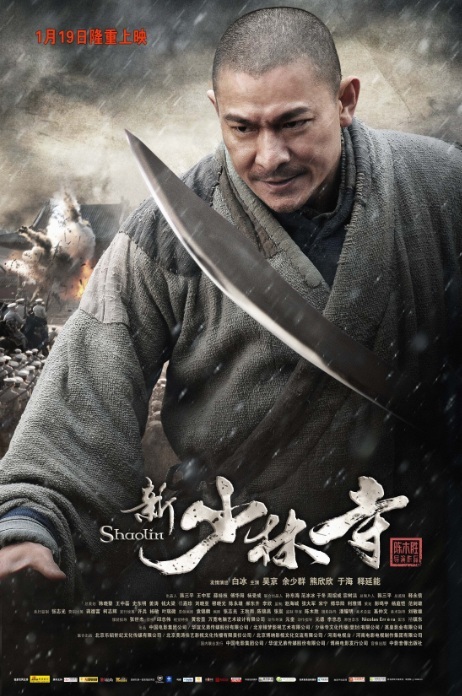 When victory is his greed and betrayal hits his ranks and he must flee to Shaolin to save his own life. 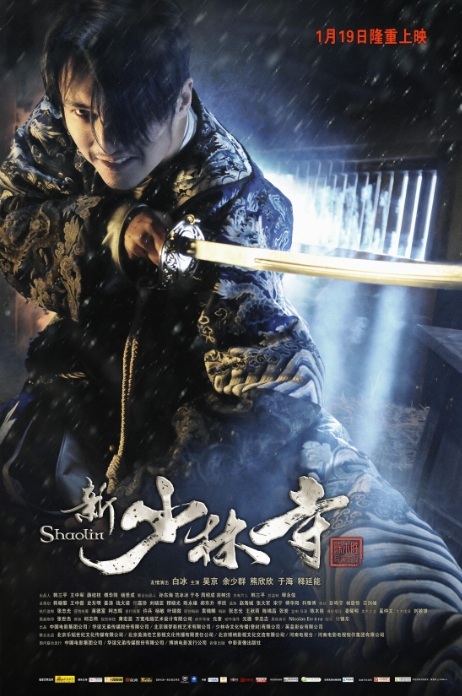 The costumes in Shaolin are spectacular! I really enjoyed the level of detail that went into this movie. The sets and locations are also of top production value. It’s no wonder it held number one during it’s opening week! It was nominated for four awards during the 33rd Hong Kong Film Awards. 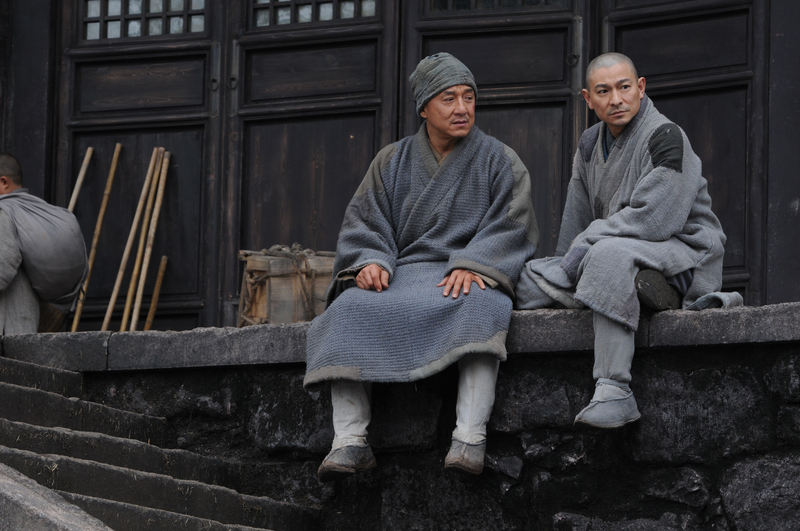 I also enjoyed the acting in the film, the sense of loss, regret, redemption, anger, and peace. The actors of the film did a wonderful job! It is well worth watching. Trivia: The theme song, “Wu” (悟; roughly translates to “awaken” or “enlighten”), was composed by the Chinese composer Zhao Qin, with Andy Lau performing the song and providing the lyrics. This entry was posted in Historical, Martial Arts and tagged Andy Lau, Benny Chan, Chen Zhihui, Fan Bingbing, Jackie Chan, Nicholas Tse, Yu Hai. Bookmark the permalink.